Relentless Beats & RBDeep presents a new branded event for 2018! 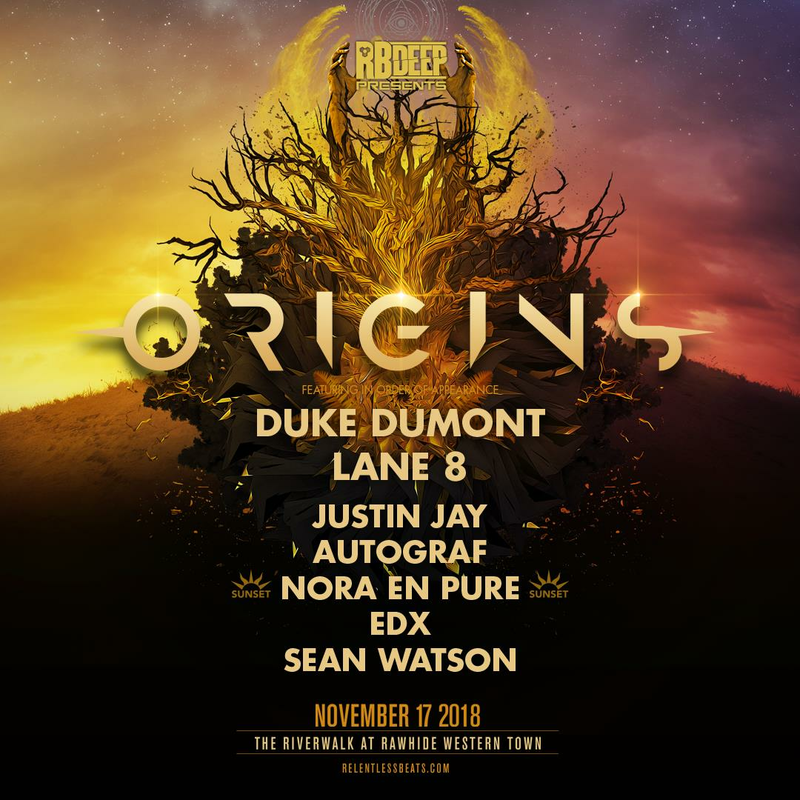 Origins takes place on November 17, 2018 at The Riverwalk at Rawhide Western Town in Chandler, Arizona. This show is strictly 18+. Take part in an all day affair with house music!